Fraction Worksheets: This page features a set of twenty slightly harder fractions that are useful for teaching or practicing elementary math. 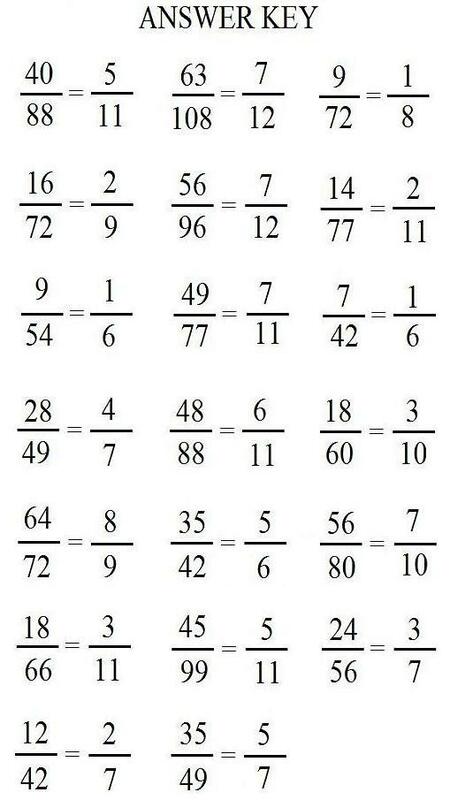 Try reducing these multiple-digit fractions as far as they will go. Then scroll down to see the answer key. To save or print these Free Printable Fraction Worksheets, simply right click on an image, and select a SAVE option from your drop down menu. Doing this will send the image to your picture file. From there, you can reduce or enlarge the image as needed, adjust the margins, choose colors, or make any other changes necessary to achieve your desired results. Or you can highlight the text answer key shown below, and copy paste it to a document file. A fraction is a number that represents any equal part of the number 1. The numeric value of a fraction is always somewhere between zero and one. Fractions can be represented in different ways. Sometimes fractions are shown as two whole numbers separated by a slash (as in 1/3, for example). In other cases, a fraction is represented using a decimal point (as in .33, for instance). For a free printable worksheet of easier reducible fractions, along with other scholastic worksheets, visit the links shown at the bottom of this page. The first number in a fraction (before the slash) is called the numerator, and represents a number of equal parts. The second number is called the denominator, and shows how many of these equal parts it takes to make a whole. 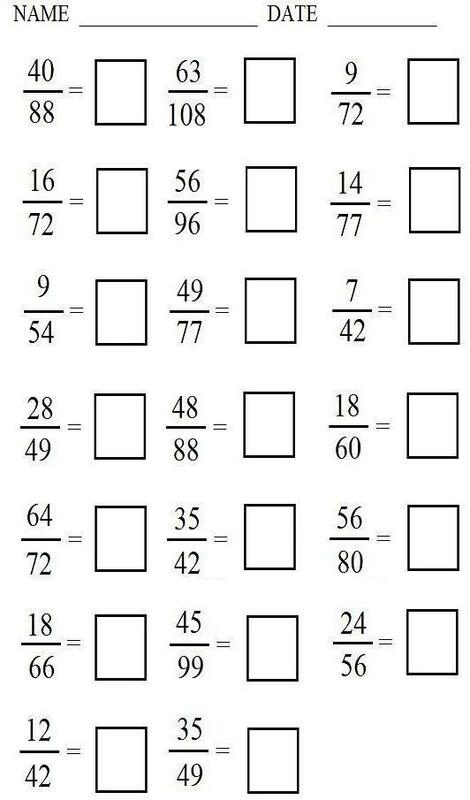 Shown below is the printable answer key to the worksheet shown above. Visit this link for More Printable Fraction Worksheets. Hit this link for the Main Worksheet Page.